Hatch End Area Guide - What makes Hatch End so great? Where do Hatch End locals go? The best fish and chips in Hatch End - it's won loads of awards to prove it! A very nice Greek restaurant serving authentic meze dishes to share with family, friends or a date. A really good Greek restaurant and events venue that does Greek dancing, belly dancing and plate smashing - amongst other things! It's a great place to go for a hen do or a birthday party. Looking over Pinner for hundreds of years, this church is a beautiful landmark. It runs a community centre with lots of classes and activities for all ages. This pub in the centre of Pinner has a beer garden with a covered patio and live music. A great place to get your hair done, as a wash and blow dry is only £20 and no appointment is needed - just walk in! An ideal drinking hole for a quick after work cocktail or for a livelier evening with the DJ on a Friday or Saturday night. The raspberry mojito is the best! Beer Asylum is a great shop on the high street selling craft beers and fine ales. A sanctuary for beer lovers! 500 years old and still going strong, this restaurant has a mouthwatering menu and a fantastic wine list! Ideal Fish bar is my favourite on a Friday lunchtime. Fish and chips served all afternoon for £3.75! Share your favourite place to go to in Hatch End. "The daughter of Horatio Nelson and Lady Emma Hamiliton was called Horatia Nelson and lived in Pinner from 1860 until the end of her life in 1881. Her grave is in Paines Lane Cemetery." 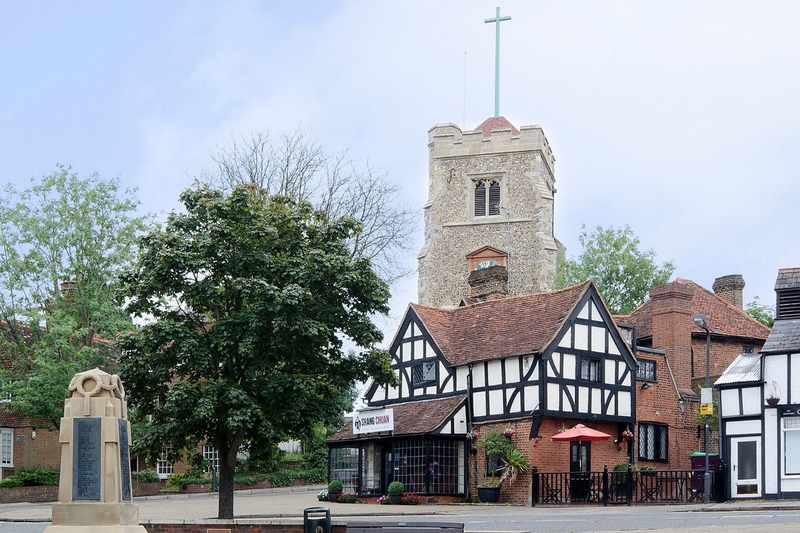 With its church and delightful mock-Tudor buildings, Pinner's High Street is a picturesque place for a stroll. Hatch End is a place in the London Borough of Harrow, located 13 miles (21 km) north west of Charing Cross in Central London. The suburb is part of the Pinner post town. Hatch End is served by good transport links into London Euston and therefore has a predominantly affluent population. Many residents have moved to the area from districts closer to central London in search of a better quality of suburban life. What are your favourite things about Hatch End? Find out how much your flat or house is worth om Hatch End. Feedback about living in Hatch End has been submitted directly by the public and may not neccessarily reflect the views of Foxtons. The description of Hatch End was modified from Wikipedia and is available under the Creative Commons licence. Land Registry data is Crown copyright. All the views and contributions contained within Foxtons Local Life are those of the contributors. All content is assessed before publishing for taste, however free opinion is encouraged. Foxtons accept no payment or sponsorship for content that is posted about Hatch End.